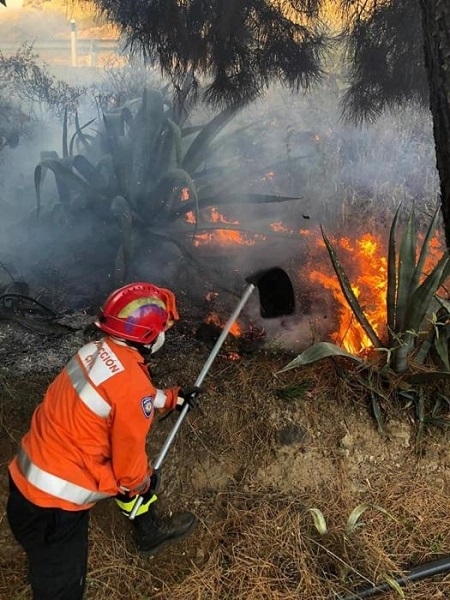 A natural cause for the forest fire that broke out on Saturday near Fataga in Gran Canaria and was only brought under control at 3am on Sunday morning is currently considered by fire experts to be excluded, and it is now thought that it was caused intentionally. The fire broke out in a palm grove near the pool at the Molino del Agua Country Hotel and burned 35 hectares of land. The hotel guests had to be evacuated as a precaution. Now the fire has to be extinguished completely, as fires often continue to smoulder underground. This can take weeks.